This New Year, if you are thinking to take resolution for weight loss. Then you must follow these convenient & easy Diet Plan. Weight loss is your New Year’s resolution? Let’s be honest, most of us want to start the New Year with a healthy lifestyle that will help us slim down. If you want to accomplish your goal, then introducing some changes in your diet is mandatory. Unfortunately, this is where we tend to make mistakes because it becomes difficult to modify nutrition without a proper plan. Do weight loss pills help? Diet plan you choose can make or break your weight loss efforts. 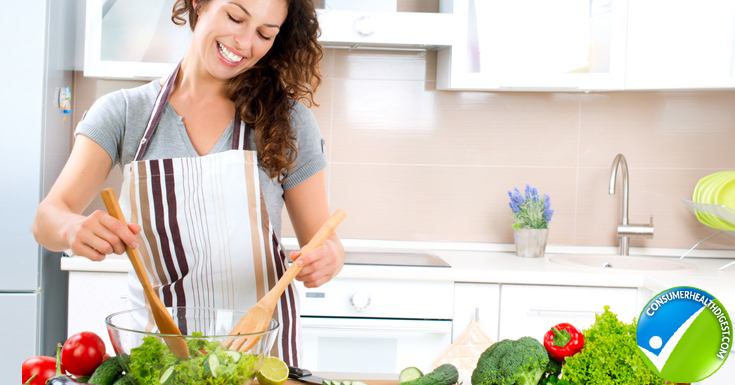 To help you lose weight and improve your health, this guide explains how to choose a perfect diet plan without stressing yourself out. So, let’s start! According to the report published in the New England Journal of Medicine, more than two billion adults and children around the globe are overweight or obese and they suffer health problems due to their weight. In other words, two-thirds of the world population carries excess weight due to urbanization, sedentary lifestyle, and unhealthy diets. The same report showed that the US has the greatest prevalence of obese children and young adults at 13%. The US also has the greatest number of obese adults with 79.4 million people or 35% of the population. It is also important to mention that being overweight or obese also increases the risk of health problems such as type 2 diabetes, cardiovascular diseases, and many others. Now it’s easy to understand why successful and healthy weight loss depends on your diet plan choice. 1. Boost energy levels to keep you active throughout the day. Proper diet plan allows you to achieve your body goal and target weight without harming your health, but what is the ideal plan. 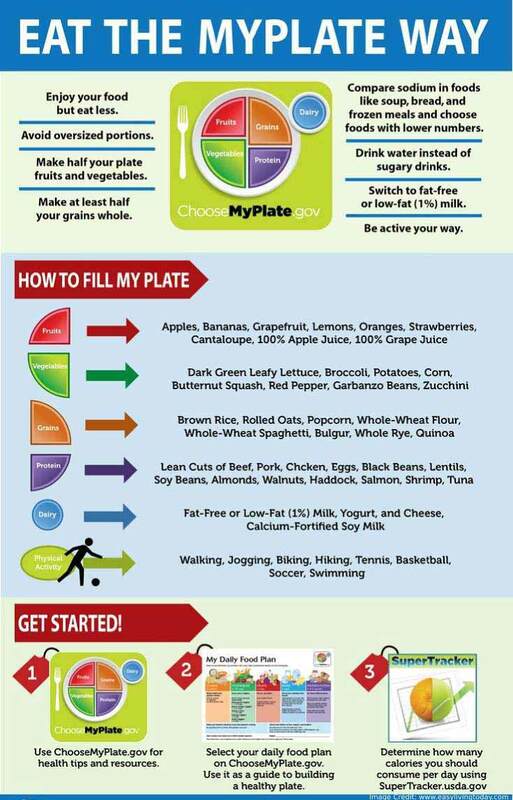 Below, you can see a six-step process that helps you find the best diet plan for your needs and preferences. Your friend, co-worker or family member slimmed down following a specific diet regimen and you want to do it, too. After all, if it worked for them, it will also work you. Not necessarily! You see, every person is different and we have a different body. This also means that same eating patterns won’t work for all of us. When it comes to health (in general) and the nutrition, there is no one size fits all approach. Instead, you should take more time to think and find something that will truly work for you. Interestingly, science also supports the role of personalization in healthy nutrition. An Israeli study published in the journal Cell found that healthy foods differ by individual. For the purpose of the study, scientists tracked blood sugar levels of 800 people. They collected data through questionnaires, body measurements, glucose monitoring, blood tests, stool samples, and mobile app that participants used to report food intake and lifestyle. Results of the research showed that blood glucose levels were strongly related to BMI and age, as expected. Interestingly, different people showed notably different responses to the same food, despite the fact their individual responses didn’t change from one day to another. Why does this happen? Gut microbiota plays a big role in your weight management, diabetes, and other aspects of health. The composition of gut microbiota, balance of good and bad bacteria, is considered unique to every individual. The above-mentioned study only confirms the importance of an individual approach to a diet plan, rather than following a program just because someone else does. Of course, this doesn’t mean you should follow just about every diet plan out there and see what works for you. Too much dieting and following different patterns can wreak havoc on your health and metabolism and make it more difficult to lose weight. What to do then? The first and most important step to choosing diet plan is to define your weight loss goals. Your goal should be specific and clarify how much weight you want to lose and a timeframe you want to lose it. Of course, your goal should be reasonable and achievable. Identifying the weight loss goal gives you a clearer idea of what you want the diet plan to look like. Get educated about different (and healthy) diet plans and opt for the one that will meet your criteria, weight goal, and other factors that will be discussed in other steps below. The modern society is obsessed with diets and it only intensified with social media. 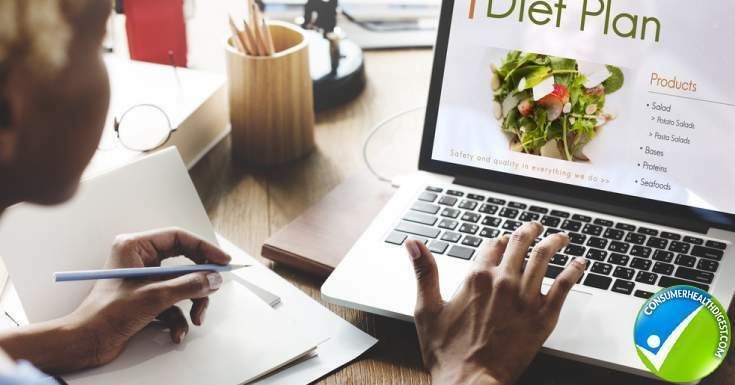 New diet programs emerge on social media platforms all the time and they take the internet by storm. The truth is that most of us misinterpret the word diet and firmly believe it refers to the “restricted eating for the purpose of successful weight loss”. The reality is much different. What’s more, wrong interpretation of the term diet is one of the main reasons why people choose the wrong eating plan and don’t succeed in their weight loss endeavor. The word diet comes from the Greek words dialtia and dialtan meaning a way of living. Basically, the word diet refers to the attitude of taking food or your typical nutrition pattern. It does NOT refer to some specific eating program as it is commonly believed. If you go by the typical modern understanding of the word diet, chances are high you will look for some restrictive program that you follow for a certain period of time. Naturally, it is expected to achieve weight loss during the course of the diet. 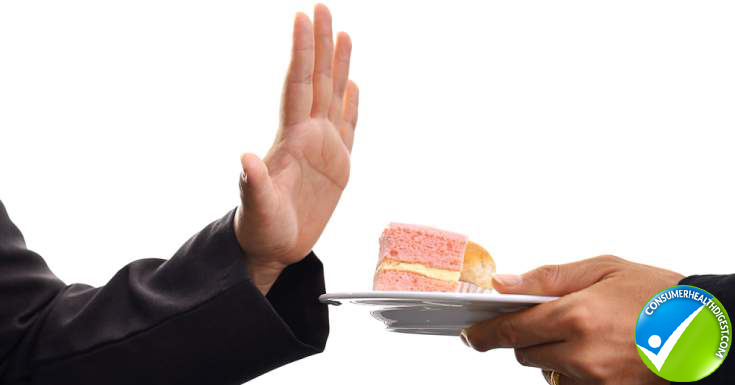 In many cases, these diet programs are way too limiting and deprive your body of certain foods and nutrients they carry. After the diet program is over, a person usually experiences yo-yo effect meaning he/she gains, even more, weight, unless you adopt some healthy changes in your nutrition pattern that will prevent that. On the other hand, if you go by the real meaning of the word diet, you will look for well-balanced eating programs that promote intake of different food groups and aim to improve your overall health while aiding weight loss. In these instances, it is not necessary to follow a program for a certain period of time and there are no structured meal recommendations. The point is to make a healthy diet a part of your lifestyle and go from there. As you can see, the understanding of a simple word diet plays a significant role in the type of diet plan you will go for. What you can do here is to take a few moments to think what does the term diet mean to you? Use the answer to select the diet plan that fits perfectly into your own vision of nutrition. 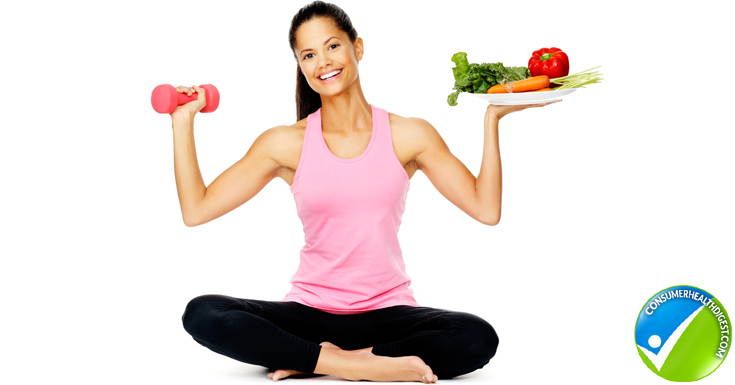 When you’re choosing the best diet plan to slim down, it is crucial to consider your lifestyle. If a diet plan doesn’t match your lifestyle, then what’s the point? The reason is simple, that particular diet regimen becomes difficult to maintain and whenever you step on that scale it doesn’t show the number you expect. As a result, your confidence suffers and it’s easy to believe that you’re the problem. Nope, you are not the problem here, but poor choice of a diet plan. For instance, if you opt for a diet plan that recommends intake of two big meals and several small meals during the day and you don’t usually eat more than three times, then it will be difficult to keep up with this program, regardless of how healthy it is. That’s because the nutrition pattern doesn’t match the meal frequency you usually follow. Can I stick to the timing and/or recommended number of meals or snacks? 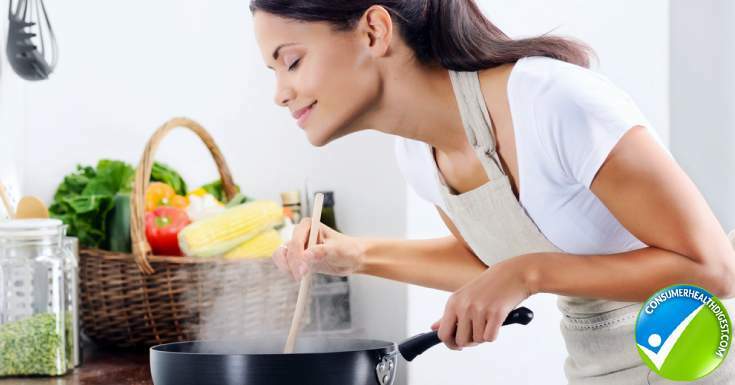 Does this new plan require special preparation and cooking? Do I have to increase consumption of foods I don’t really like? Does the new diet plan have a family-friendly approach that I can easily introduce to my household? Do I have enough time to prepare/cook meals this diet recommends? Does my budget allow me to consume all foods suggested by this eating pattern? Can this diet accommodate my travel and dining-out plans? Is this diet suitable for my health condition? Will this diet boost my energy levels and improve my athletic performance? Remember, always go for the diet plan that you can easily incorporate into your lifestyle because it increases your chances of following it for long-term. Don’t forget your nutrition should support regular physical activity i.e. enhance your energy levels and help you train. It’s not uncommon to come across eating plans that claim you’ll lose weight without exercise, but remember that combination of regular physical activity and healthy nutrition works best, according to the study from the Obesity. For example, it’s not a good idea to follow a diet plan that causes loss of muscle mass, not just fat. Exercise encourages muscle building which accelerates metabolism and burns more calories even when you’re done with the workout. When considering any diet plan, you should ask yourself “Is this diet something I would be willing to do every day for the rest of my life?” It’s simple; you shouldn’t consider some diet plan a temporary solution, but an inseparable part of your lifestyle. That way, you won’t feel like it’s some sort of obligation, but a normal part of life. At the end of the day, weight loss isn’t a temporary solution either, once you lose weight you have to keep it off. This is why the diet choice is important, it should be an eating plan you are willing to follow for many years to come, which only intensifies the need for a well-balanced program. The ideal diet plan for weight loss is the one that makes you feel like you’re not on a diet at all. For many people, diet plan symbolizes limitations and they heighten desire or cravings for foods they are not supposed to eat. Bad eating habits only intensify in these instances. Take a few moments to identify your bad eating habit (or more of them). Sometimes we aren’t even aware of these bad habits. Look for a diet plan that helps you identify common mistakes in eating and helps you overcome them successfully. Don’t look at these bad habits as something you’re giving up, but as obstacles that are preventing you from reaching target weight goal. Regardless of the plan you choose, focus on progress instead of perfection and strive to slowly improve eating behaviors. Different people need a different approach to a diet plan, we’ve already established that. This isn’t just about the selection of foods but also intensifies the need for select a nutrition program that suits you best. Some people prefer structured plans which vary in length and usually come with lists of meals to eat every day, portion sizes, and snacks. These plans help them stay on the right track, particularly if the person can’t control his/her bad habits. On the other hand, some individuals prefer flexible diet plans which allow them to make their own choices through the implementation of food groups recommended by that nutrition pattern. For example, a vegan diet isn’t a structured, but a flexible plan and a person has the liberty to adjust their diet by implementing fruits and vegetables of their choice. Whether you should go for a structured or a flexible diet plan depends on you and your needs. That being said, you should make sure the diet plan of your choice allows you to consume enough food and calories to combat hunger and keep you full for hours to avoid undermining your weight loss effort. In order to slim down successfully and keep it off, you should get informed about different diet plans instead of focusing on one program only. We usually find some plan interesting and only learn a few things about it while completely overlooking all the others. It’s better to get informed about different eating patterns and then opt for the one that fits you and your goals, needs and preferences the most. Below, you can see the basic rundown of the most common diet plans used for weight loss. High-protein diet belongs to the group of the most common diet choices for both bodybuilding and weight loss. Protein is one of three macronutrients, along with carbs and fat, that our body requires to stay healthy and maintain weight. The body needs protein for many processes and it is the main component of muscles, bones, hair and skin. Promotes Appetite Suppression And Fullness – Consumption of protein suppresses hunger and appetite for hours after eating, thus helping you prevent overeating which would eventually lead to weight gain. Fat Loss And Body Composition – Fat that accumulates in our body is stubborn, especially in the abdominal area, and it is difficult to get rid of fat deposits. A high-protein diet is well-known for its ability to induce fat loss. A growing body of evidence confirms that increased protein intake promotes fat and weight loss. For example, a six-month study that included 65 overweight and obese women revealed that high-protein group lost 43% more weight than the high-carb group. Also, 35% of women from high-protein group lost at least 22 lbs or 10kg. The precise protein intake is a matter of many debates. Typically, consumption of 0.6 to 0.75 grams of protein per pound of body weight (1.2 – 1.6 grams per kilograms) promotes weight/fat loss while preventing loss of muscle mass. Strive to include both animal- and plant-based sources of protein into your diet and focus on high-quality sources of the macronutrient. Don’t forget to meet your daily fiber intake (25-35 grams) to promote digestion and prevent constipation. A low-carb diet is an eating pattern that limits intake of carbohydrates usually found in fruit, starchy vegetables, and grains. While reducing the consumption of carbs, this diet plan emphasizes intake of foods that are high in protein and healthy fat. 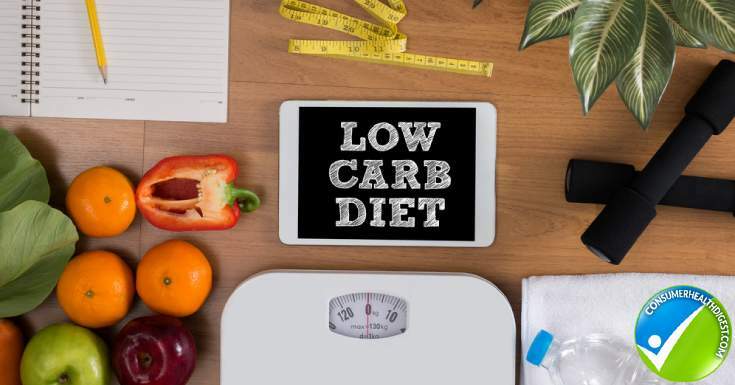 People usually opt for a low-carb diet in order to lose weight by restricting intake of certain foods (carbs) or they want to change their bad eating habits. Like high-protein, low-carb diet belongs to the group of flexible eating patterns and there’s no some specific meal plan you should follow other than adjusting intake of macronutrients. Of course, it’s needless to mention you should avoid junk and sugary food, that’s implied. That being said, there some structured programs which are based on a low-carb approach to weight loss, such as the Atkins diet. A study from the New England Journal of Medicine enrolled 62 participants who were randomized either to the low-carb or low-fat group. Scientists discovered that low-carb group lost more weight compared to the low-fat group with ratio 7.3% vs. 4.5% of the total body weight respectively. The journal Nutrition and Metabolism published a study which found that participants from low-carb group lost more weight than their counterparts from the low-fat group, especially men. What’s more, weight loss for persons from the low-carb group was significant despite the fact they consumed more calories than participants who adhered to a low-fat diet. You’ve probably watched the reality show Biggest Loser or at least you’ve heard of it. This diet was created to help you shed weight just like participants on the show. It belongs to the group of structured plans with specific meal programs and portion sizes. The Biggest Loser Diet involves intake of small, but frequent meals which usually consist of protein, low-fat dairy or soy, whole grains, fruits, vegetables, beans, and nuts. The diet also requires regular exercise. The reason why this diet works is simple – it combines all factors that are essential for successful weight loss (portion control, healthy food choices, and regular physical activity). It is also important to mention that Biggest Loser Diet isn’t a food deprivation program, you’ll eat three meals and two snacks a day and it isn’t a temporary diet fat. Mediterranean diet is considered as the healthiest eating pattern in the world. It’s not a program that you follow for a specific time, but a way of life. You see, Mediterranean diet refers to the way people from Mediterranean area eat. This diet is known for the fact it doesn’t involve restrictions or eliminations of certain food groups and it is incredibly beneficial for heart health. As mentioned above, there is no specific program that you follow here, just some simple guidelines. You should increase consumption of fruits, vegetables, olive oil, nuts, seeds, legumes, potatoes, whole grains, herbs, spices, fish, and seafood. Eat in moderation foods such as poultry, eggs, cheese, and yogurt. Red meat is allowed but reduce consumption to once a week. The only thing you should avoid is consumption of junk food, sugar-sweetened beverages, added sugar, and processed foods and meats. 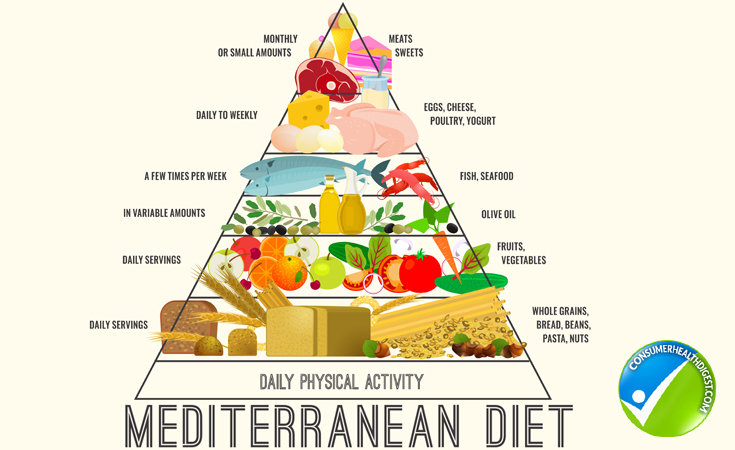 Does Mediterranean diet help weight loss? Sure; this diet plan is beneficial for the entire health and your weight is not an exception. One study showed that low-carb and Mediterranean diets are effective and safe alternatives to the low-fat diet for successful weight loss. The goal of Weight Watchers Diet is to lose weight while living healthier and it promises you’ll drop two pounds per week. This diet plan uses a point system to encourage followers to opt for healthy, filling foods that will help you slim down without harming your health. In this diet plan, no foods are forbidden. Basically, Weight Watchers assigns points to different foods. The healthy options carry more points while unhealthier options carry low points. You want to collect as many points as possible and while doing that, you are changing your eating habits and slimming down. The program is designed to ease the process of changing your diet for long-term weight loss. Following this diet plan allows you to tweak bad habits and create new, healthy ones. At the same time, you learn how to shop for healthy food, cook, and dine out without undermining weight loss. Beyonce credited vegan diet for her weight loss and flawless body and many celebrities experiment with veganism to slim down or remain healthy. Veganism isn’t just about celebrity trends and following a certain program for a while, it should be an important part of your lifestyle based on natural and healthy plant-based food sources. Benefits of plant-based diet plans are well-documented. One study showed that dieters who follow vegetarian plans lose twice as much weight as their counterparts who don’t. The vegan diet promotes weight loss due to high fiber intake. As you already know, fiber is necessary for healthy digestion and it suppresses your appetite, thus making you full for longer. At the same time, vegan diet plans also deliver an abundance of much-needed nutrients that protect your health too. While all diet plans mentioned in the section above promote intake of different food groups, while limiting junk foods and other unhealthy alternatives, they don’t banish meat intake. Instead, they just suggest you should reduce it. That’s why some people are reluctant to try following a vegan diet plan, they believe it would be impossible to switch to this diet program and some also assume it is incredibly strict. The vegan diet plan is just like any other, a valuable addition to your lifestyle. In fact, following this diet pattern becomes easier when you know how to simplify it and what to do. Here are some useful pointers. Soy milk, soy burgers, and tofu are ok when taken in moderate amounts. But to keep things simple, it is best to eat plenty of unprocessed foods when trying to lose weight and eat these products in small amounts. The problem with soy products is that they’re often high in fat and sodium which can sabotage your weight loss. It is also important to mention that soy contains phytoestrogens that could cause hormonal imbalance when consumed excessively. The lesson here is to consume everything, including soy, in moderation and strive to experiment with different plant-based foods. Vegan food options are endless, the only thing you need is open mind and adventurous spirit. The Vegan Food Pyramid was designed by Joshua Wold, an artist, and long-term vegan. 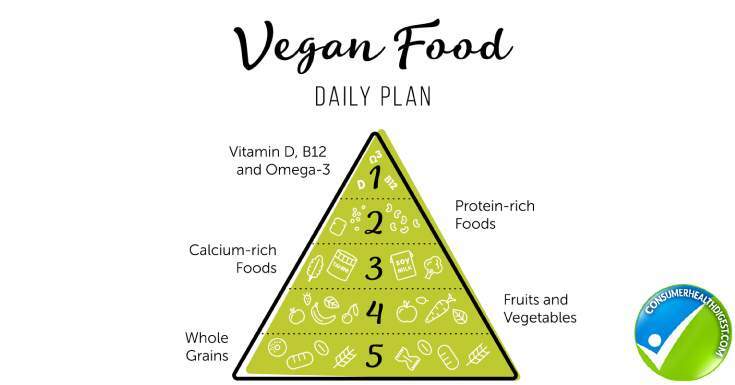 The pyramid is a rough representation of how the best diet plan for a vegan should look like. However, keep in mind that the pyramid was designed for those who want to maintain their weight. For those trying to lose weight, it is best to choose lower serving amounts listed under most categories in the pyramid that you can download for free online. Carbohydrate-rich foods have been unfairly stigmatized. The reality is that some sources of carb are good while others should be avoided like the plague. Whole grains are a rich source of energy-providing complex carbohydrates, fiber, vitamins, minerals, and antioxidants. Refined grains, on the other hand, are just a source of empty calories. The less processed your favorite grain is, the better it is for your health and weight loss according to numerous studies. Also, a study from the American Journal of Clinical Nutrition found that whole grains support weight loss by accelerating your metabolism. Participants who consumed whole grains lost 100 more calories than their counterparts who ate refined grains. You already know that going vegan means adopting a solely plant-based diet but that doesn’t mean that you can eat whatever you want as long as it’s a plant. Eating too many fruits may not be a good idea when trying to lose weight due to their high sugar content. Instead, include plenty of leafy greens for easier weight loss. Leafy greens are a rich source of calcium that studies show has a strong effect on fat metabolism. Switching to a vegan diet means that you’ll be eating more fiber than you’re used to eating. Although fiber helps relieve constipation, too much fiber can actually block your intestines. Ensuring that you’re drinking enough water to help fiber move smoothly through your digestive tract will prevent constipation. Furthermore, staying hydrated throughout the day is of huge importance for weight loss and overall health. A study from the journal Obesity found that intake of water increases the number of calories you burn, also known as resting energy expenditure. It is also important to mention that water intake reduces your appetite, which is important for weight loss. Most nuts are high in fat, but that does not mean that you should gain weight by eating more nuts. In fact, epidemiological studies found that greater nut consumption was associated with a lower BMI. Researchers believe this is mostly due to the fact that the high fat and fiber content in nuts leads to greater feelings of satiety. Of course, this is a no-brainer but it’s always good to be reminded of the dangers of added sugar in your meals. Studies show that consumption of sugar-sweetened beverages was strongly associated with obesity and weight gain. Sugar can cause a spike in your blood glucose levels, increase your hunger and as a result, make you eat more calories than you should. In addition, sugar intake also increases the risk of type 2 diabetes and other metabolic problems, all of which are strongly associated with overweight and obesity. The general rule when going on a weight-loss program is to eat high-quality unprocessed foods. Choose fresh and preferably organic fruits and vegetables. These contain much more nutrients and are free of added sugars, sodium, and fats which may not be the case with many processed foods you see in supermarkets. Frozen fruits and vegetables are also useful alternatives but stay away from canned packaging as it may contain added sugar or preservatives. Regular exercising is an important part of every weight loss program. Exercising improves your heart health, increases blood flow, and supports muscle growth. Muscle requires a lot of energy to maintain its strength and structure and this means, the more muscle you have, the more energy you spend. What’s more, a study from the journal Obesity confirmed that lifestyle change that involves a combination of physical activity and healthy diet is ideal for effective weight loss. A vegan diet alone won’t provide much success in terms of weight loss if you aren’t getting your beauty sleep. Sleep is important for energy metabolism and other physiological processes as well. Disrupted sleep is now recognized as a risk factor for many diseases among which is obesity. The recommended amount of sleep for good health and normal functioning is between 7 and 8 hours a day. Weight loss pills are some of the most popular supplements on the market. 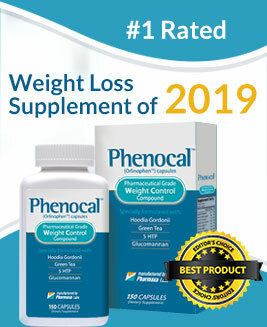 They usually contain a natural formula that speeds up metabolism suppress a user’s appetite, and supports a healthy weight loss. The question is, do they help? Bearing in mind that most people struggle to reduce food intake, especially if they got used to overeating, and weight loss pills can help in this case. That being said, you should avoid a common pitfall for many dieters – relying on pills only. It’s not uncommon for both men and women to take weight loss pills without making any changes in their diet or physical activity. Weight loss pills and supplements are formulated to act as a complementary tool i.e. to support your weight loss endeavor and results of diet changes and regular exercise. They help you reach your target weight at a faster rate, but this also involves making some effort. If you’re considering using weight loss pills, you should still combine them with diet plan of your choice and exercise routine. When purchasing these products you should read the label to ensure ingredients are natural and their benefits for weight loss well-documented. Dig out the Elevate Coffee Review, one of the weight loss product which also claims to contain natural ingredients. Such supplements may help you to achieve desired results. Avoid buying items produced by unreliable manufacturers and always make sure there is a money back guarantee. Read More: Awesome Fast And Easy Weight Loss Tips Everyone Should Follow! Weight loss is the most common New Year’s resolution or we can safely say it is the most frequent wish people have all year round. Slimming down isn’t a mission impossible and the reason why we tend to struggle is due to the poor diet plan. Throughout this post, you had the opportunity to learn about different factors to consider when choosing diet plan. Ideally, you should go on the diet that you can easily incorporate into your lifestyle and follow even after you lose weight. With strong willpower and eyes set on the goal, you’ll slim down faster than you expected.